Looking for that special dress for a night out on the town? 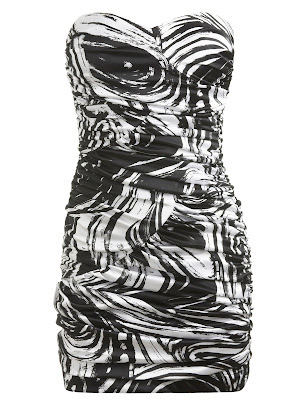 This tube dress features a swirl print body, sweetheart neckline with light padded bust. Invisible back zipper and ruched detailing. Lined.